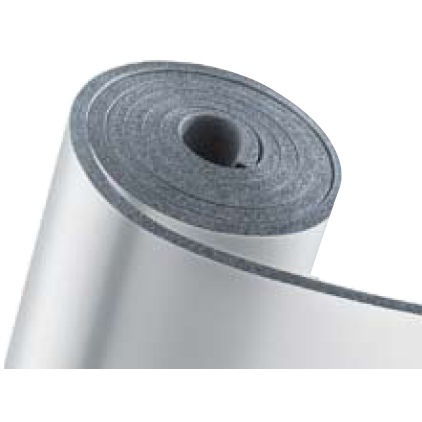 K-FLEX ST AL CLAD – insulation mats made of synthetic rubber foam rolled into 1 m wide rolls. Packaged in cardboard boxes. They are used for thermal insulation and condensation protection of large cross-sections of pipes, ventilation ducts, tanks and all types of fittings in cooling, air conditioning, heating, sanitary and special installations, including liquid technical gas installations (with the exception of oxygen installations). Intended for indoor and outdoor applications. The mats are available in the following versions: ordinary or self-adhesive. With an outer protective jacket, resistant to weather conditions, UV and mechanical factors.